This week’s Five-Star Friday is all about tub wall mounted faucets. There are two types of bathtub wall mounted faucets – traditional and handshower. 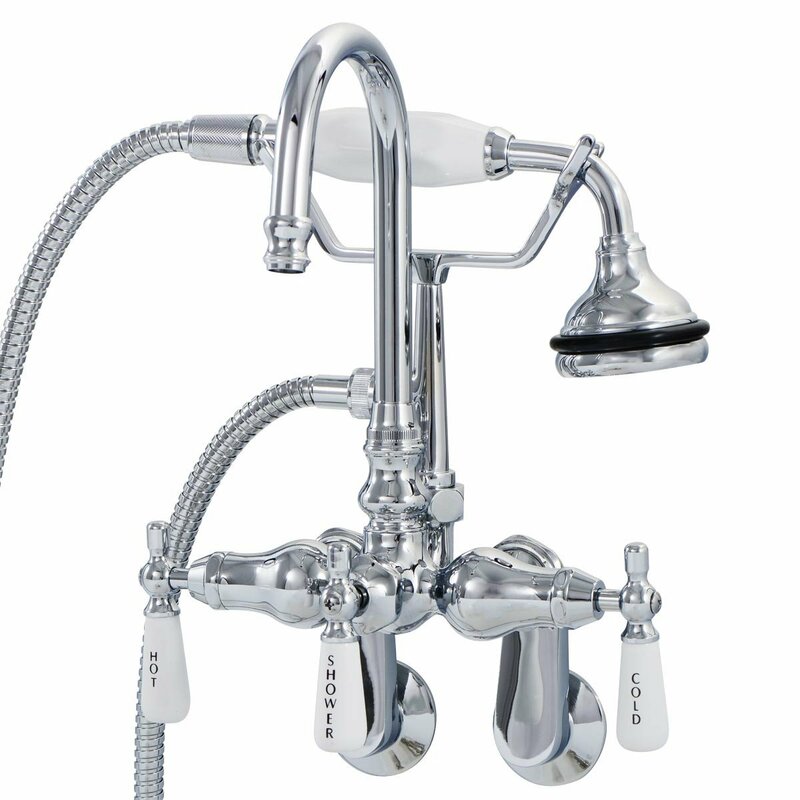 The traditional faucets have a spout that points downward and cannot be converted into a handshower or showerhead, as they lack the inlet for the conversion. 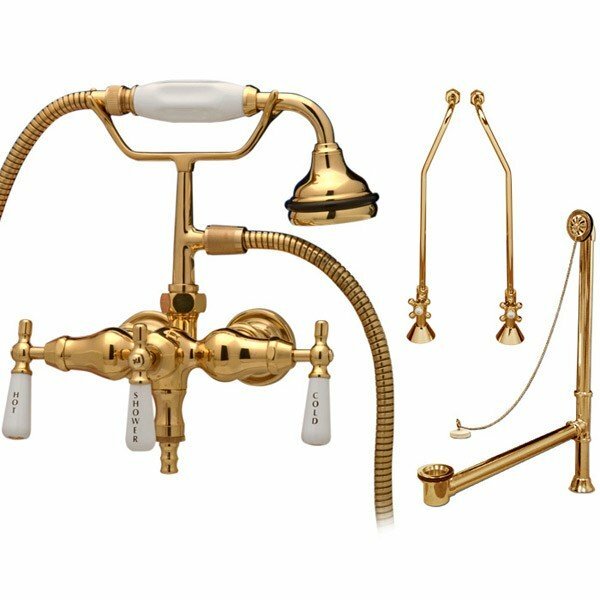 Handshower faucets are available in three different styles - English telephone, gooseneck, and traditional tub wall mount faucets. Check out these five-star reviews from customers and see what they had to say about their tub wall mount faucets. “I have had this brand of faucet before - but I moved. I gave ease a 3 because I hired a plumber after the package arrived. 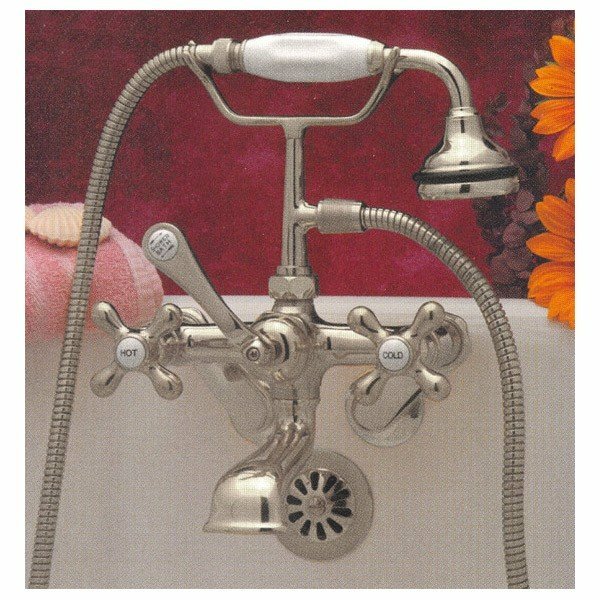 The clawfoot tub had a really bad, old faucet so I ordered this faucet because we love the shower handle for washing hair, feet, pets, cleaning the tub, and cleaning screens or other large items. This is a very high-quality item. In the other house, it lasted over 20 years with no issue. Vintage Tub is a great company. 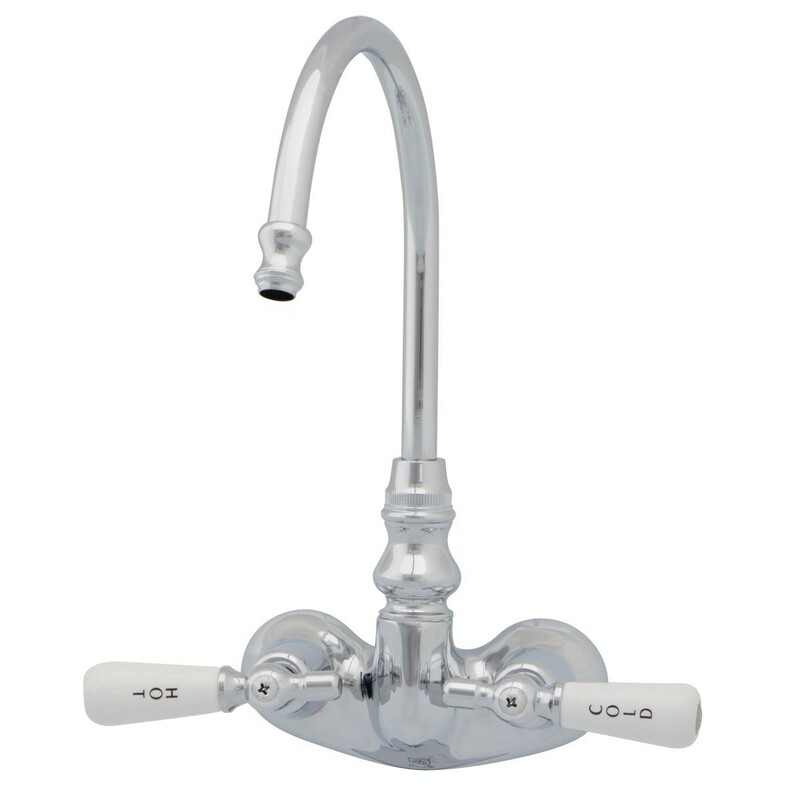 So, although the price is higher than a hardware store, you are getting a lifetime quality faucet. I have seen cheap faucets actually hollow out and fail! MA requires a built-in mixer or something. It's already in this faucet set. Order with the shower handle - it's a great addition and very European!" “I searched a long time to find a tub faucet that was vintage and functional. This faucet was very easy to install because of the adjustable spread. It easily converts from faucet filler to hand spray with the flip of a lever. The rate of water flow is great and quickly fills my claw foot tub. One concern is the porcelain handle of the handheld shower. It is heavier than I expected and a bit unbalanced in wet soapy hands. I'm concerned about dropping it and breaking the handle. " "My son installed it for me. It took 30 minutes, and most of the time was spent on getting the old faucet out. My tub is original to the house, built in 1893. I couldn't be happier with this product!!!" 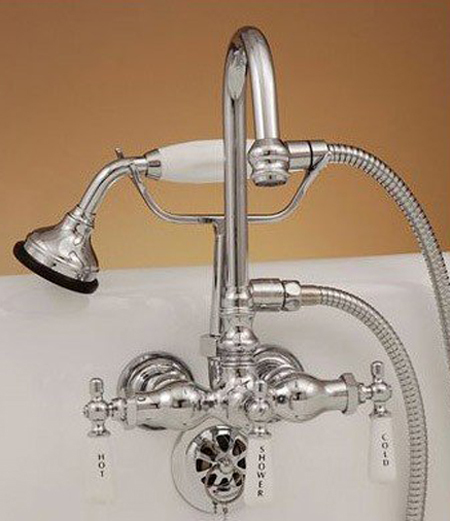 "We installed this faucet on a refinished 95-year-old cast iron tub. Our plumber said it's a good quality faucet and installation went smoothly. The shower hose is great for rinsing off the tub. I love it! " "We installed these beautiful faucets in a sink that we happened upon from a lucky Craigslist find! The sink was designed for bathrooms, but we loved it for use as a kitchen sink and needed a pair of beautiful faucets to complete the transition. These worked for this sink, for our budget, and for the look we both love! Customer service was excellent, and we will be return customers when we are ready to renovate the bathrooms!" Have you purchased a bathtub faucet from Vintage Tub & Bath? If so, make sure you review your product at VintageTub.com. You could be featured in a future Five-Star Friday post!